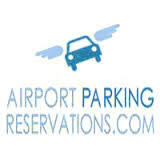 Parking at the airport or on airport parking is unreliable and expensive. Spaces fill up quickly, and prices are sky high. But finding the right alternative, or off airport parking, can be a challenge, with prices and features all over the map. That`s where we come in.